Looking for a destination that your family will love? Try San Antonio, the top travel destination in Texas. 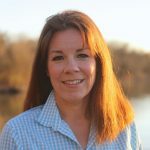 I love the River Walk, the cultural history and the warm South Texas hospitality along with the museums, the Tex-Mex food and the theme parks. Since it’s all within a few hours drive from any major Texas city. Here’s why I visit as often as I can. It doesn’t matter what time of year, San Antonio, Texas is always picture-perfect. On a recent weekend away with my kids, I needed a few more days. San Antonio offers the newest UNESCO World Heritage site, world-class museums and some world-renowned Tex-Mex food. Need more reasons to sneak away? Since 1946 the iconic River Walk, or Paseo del Rio, has delighted San Antonio visitors. The River Walk now extends 15 miles in total with a Mission Reach and a Museum Reach. I love to stroll the downtown section lined with restaurants, hotels and galleries. The stone and iron bridges that cross the San Antonio River add to its ambiance. Stop at Casa Rio Restaurant for a margarita and a plate of enchiladas as the river boats float by. The River Walk is free and open all day, every day. Since the beginning, the San Antonio river boats have been a part of the River Walk experience. It wouldn’t be the same without them, just like sipping on a margarita while listening to mariachi band. Our boat captain and tour guide piloted us down the San Antonio River while pointing out the history, the infamous residents and the architecture that defines the River Walk. Each tour takes about 35 minutes and is great for all ages. Rio San Antonio Cruises are open from 9 a.m. until 9 p.m. Admission for adults is $10 and $4 for kids 1 to 5, with discounts for seniors, the military and local residents. This is a must for first-time visitors. Long before the battle that made the mission famous, the Alamo was called Mission San Antonio de Valero. Constructed in 1718, it offered protection and sustenance for the Coahuiltecan Indians. Secularized in 1793, the original residents continued to live and farm this area. 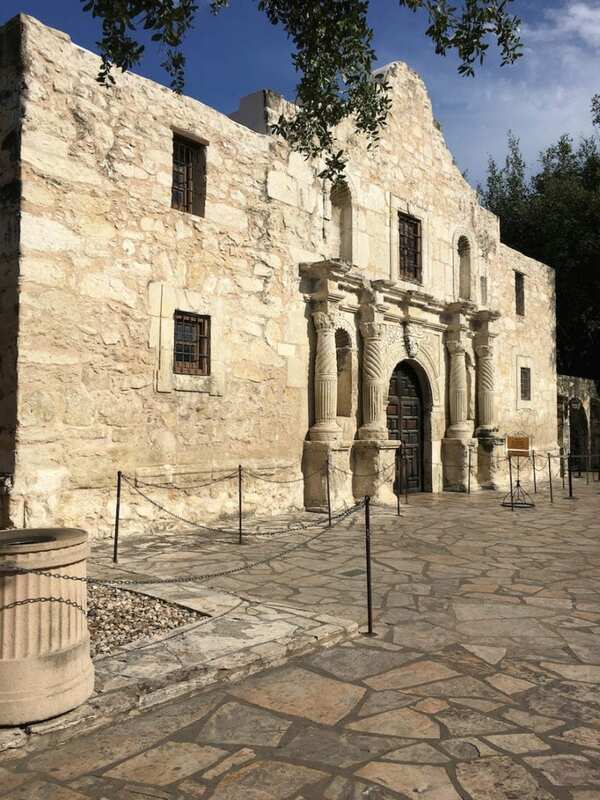 As the Texas Revolution escalated, the Alamo became the center of the conflict. On March 6, 1836, after a nearly two-week long siege, the battle broke out between William B. Travis, commander of the Alamo and General Santa Anna and the Mexican troops. Though the defenders of the Alamo were lost in the battle, the history lives on and the Alamo is now a symbol of heroic struggle against overwhelming odds. In 2015, the Alamo and the remaining four San Antonio missions were designated a UNESCO World Heritage site. The Alamo is located in downtown San Antonio at 300 Alamo Plaza. It’s open every day from 9 a.m. to 5:30 p.m. It’s closed December 24 and December 25. It’s free to enter. The UNESCO World-Heritage Site and a national historical park dedicated to the four other compounds built by Spanish friars in the 1700s. Each of the four missions are two to three miles from each other and close to the San Antonio River. 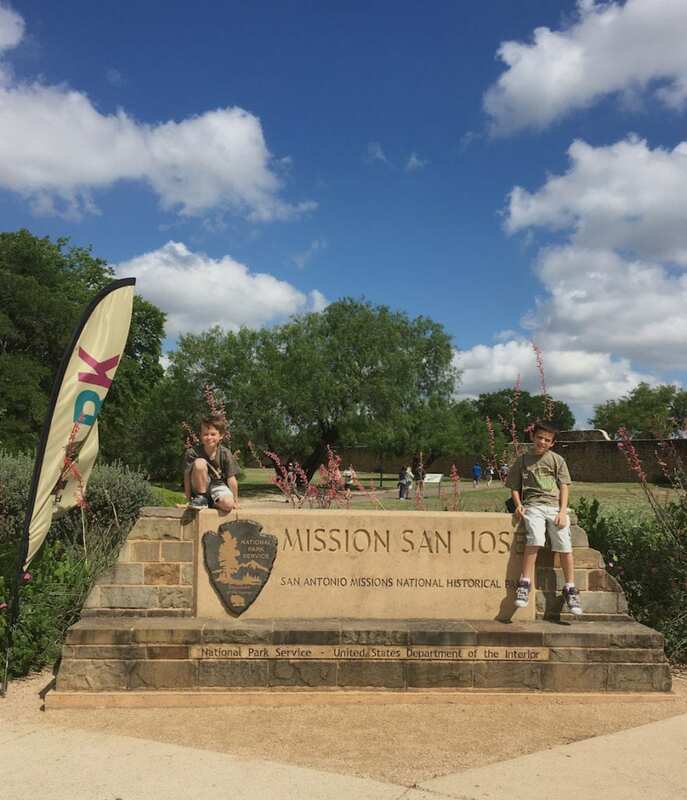 After visiting the Alamo in Downtown San Antonio, we drove down Mission Trail to discover Mission Concepión, Mission San José, Mission San Juan and Mission Espada. Touring the missions can take as little as a few hours. Mission San José has a visitor center and guided tours. The Mission Reach Hike and Bike trail is a great way to visit the San Antonio Missions. It’s 16-miles roundtrip. This might be a little too far for a young family, though lots of adults and older kids enjoy the scenic ride along the San Antonio River. The San Antonio Missions National Historical Park is open every day, hours vary from mission to mission. Though all are open from 10 a.m. to 5 p.m. The missions are closed on Thanksgiving Day, December 25 and January 1. All the missions are free to enter. A charming area to stroll where old buildings house galleries and several restaurants. La Villita is located between the River Walk and HemisFair Plaza, next to the Hilton Palacio Del Rio at 418 Villita St. In 1968, San Antonio hosted the World’s Fair. This area includes the UTSA Institute of Texan Cultures, the Tower of the Americas and the Yanaguana Garden. It’s undergoing a complete revitalization that should be complete for San Antonio’s 300th anniversary of the city’s founding. The HemisFair Plaza is located at 434 S. Alamo St. and is open from 7 a.m. to midnight every day. It’s free to enter. Built for the 1968 HemisFair, the iconic tower is as much a symbol of San Antonio as the River Walk. Rising 750 feet above the ground, my boys pressed their faces against the glass elevator on the way up. The view from the top can’t be beat. Located at 739 E. Cesar E. Chavez Blvd., the Tower of Americas is open every day from 10 a.m. until 10 p.m., most nights. Admission is $12 for adults, $9 for kids 4 to 12 and kids 3 and under are free, with military and senior discounts. 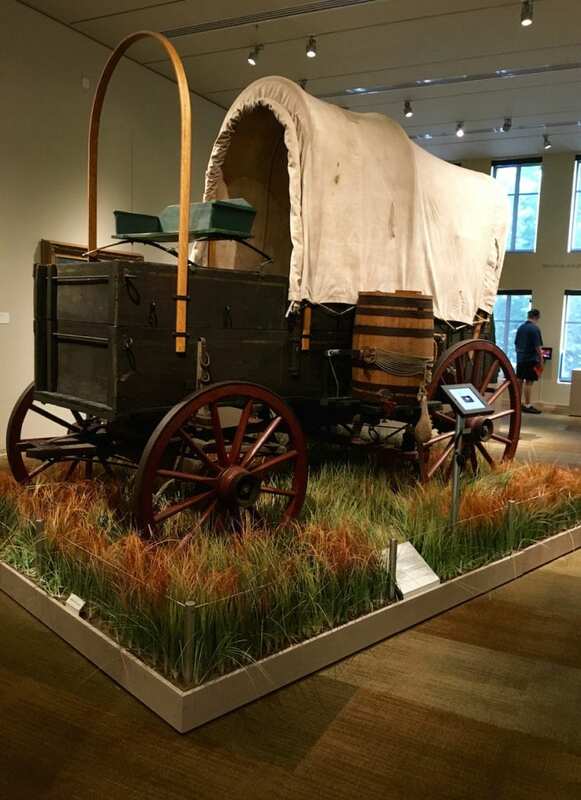 A cultural heritage museum dedicated to the 26 cultures that settled Texas. Each culture or country has an area filled with artifacts, costumes and antiques. UTSA Institute of Texan Cultures is located at 801 E. Cesar E. Chavez Blvd. It’s open from 9 a.m. to 5 p.m. Monday through Saturday and noon to 5 p.m. on Sunday. It’s closed major holidays. Admission is $10 for adults and $8 for kids 6 to 17, with military, student and senior discounts. A new downtown playscape that wows even the older kids opened in October 2015. Yanaguana Garden, named after the Payaya Indians that inhibited this area, offers challenging climbing structures, a sandscape, a splash pad, public art areas, Ping-Pong tables, changing rooms and restrooms. The Yanaguana Garden is located in HemisFair Plaza at 434 S. Alamo St. It’s open every day from 7 a.m. to midnight and is free to enter. The foodie King William neighborhood is packed with Victorian homes, hip restaurants and food trucks. It was the first historic neighborhood in Texas and now the home to art galleries and night clubs along with San Antonio’s vibrant restaurant scene. Located south of Cesar E. Chavez Blvd. and bordered by S. St. Mary’s St. and the San Antonio River, this area is free to stroll. Just a few blocks from the River Walk, this area is a great alternative for dinner. I love art so I took my boys to the San Antonio Museum of Art. It features collections from around the world and from the ancient times to the contemporary. Located on the Museum Reach of the River Walk at 200 W. Jones Ave., the San Antonio Museum of Art is open Tuesday through Sunday from 10 a.m. to 5 p.m., and 9 p.m. on Tuesdays. The admission is $10 for adults and free for kids 12 and under, with military, student and senior discounts. My boys loved the DoSeum with exhibits like a spy school, a mystery house and a lop-sized tree house. The DoSeum had my boys touching, doing and tinkering from one room to the next. Located at 2800 Broadway, it’s open every day with varying hours. The admission is $12 for everyone over 1. Babies are free. Named after the benefactor and founder, Marion McNay, its collections include 19th and 20th century European and American art. It also features a sculpture garden on the grounds of McNay’s Spanish Colonial Revival mansion. Located at 6000 N. New Braunsfels, it’s open from Tuesday through Sunday with varying hours. The admission is $20 for adults and free for everyone 19 and under, with military, student and senior discounts. My boys loved the Briscoe. The life-sized stagecoach, the wind mill and the Alamo diorama were hits with them. The antique guns and military uniforms added to the adventure. I loved the western landscapes and the cowboy sculptures. We spent about an hour in the Briscoe. Located next to Hotel Contessa at 210 W Market St. along the River Walk, it opens at 10 a.m. Tuesday through Sunday with varying closing times. The admission is $10 for adults and free for kids 12 and under, with military, student and senior discounts. Showcasing contemporary art in San Antonio for 13 years, the Blue Star Contemporary Art Museum is part of a complex with coffee shops, restaurants and retail shopping. Located at 116 Blue Star along the San Antonio River Walk’s Museum Reach, it’s open at noon, Thursday through Sunday with varying closing times. The admission is $5 for adults and free for kids, students and the military. Since 1914 the San Antonio Zoo has delighted kids and adults alike. With 750 species across 56 acres, it was one of the first cageless zoos in the U.S. Along with animal exhibits, the San Antonio Zoo has a miniature train and carousel. The San Antonio Zoo is located at 3903 N. St. Mary’s St. and is open from 9 a.m. until 5 p.m. Monday through Thursday, and 6 p.m. Friday through Sunday. The admission for adults is $14.25 and $11.25 for kids 3 to 11, with military and senior discounts. Set in an old rock quarry that dates back to 1899, this garden features paths and foot bridges that meander through a tropical oasis dotted with shallow ponds stocked with Koi fish. It’s located at 3853 N. St. Mary’s, free and open every day from dawn to dusk. What is your favorite San Antonio activity? I can’t decide.